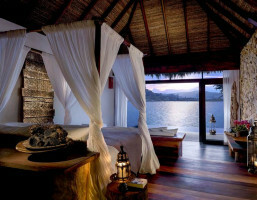 Why A Luxury Island Escape? Say the words “Private Island” and you’re probably thinking of pristine emerald-green waters, clean white sands, thatched-roof villas with luxury furnishings, and the sheer, unadulterated serenity of nature. What's Special About This Private Island? 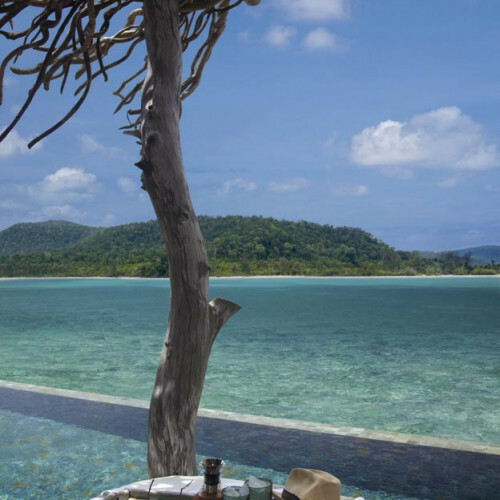 Song Saa Private Island is literally your luxury island dreams come true. Just think of all the things you could do in your own slice of island paradise. Like, sunbathe naked on a deck chair under the warm Cambodian sun. Swim naked in the sapphire waters. Dine naked… ok, ok, maybe put some clothes on from time to time. Point is, there’s nothing quite like a bit of privacy. And the nature is pretty damn spectacular too. You can walk amongst lush green rainforests, spot species of dazzlingly colourful fish as they dart in and out of the tropical reefs below, feel the glowing white sand under your feet and breathe the mix of salty sea breezes and clean forest air. A romantic getaway for lovers if ever there was one, this luxury private island resort isn’t just beautiful - it’s truly a world of its own. Travel to Song Saa is limited, so book now to one of the lucky few who gets to tread foot on its carefully-protected sands. Pristine waters and squeaky-clean white sands.